The shear force is often transferred with the aid of some plate, cleat or additional member that connects the two members. 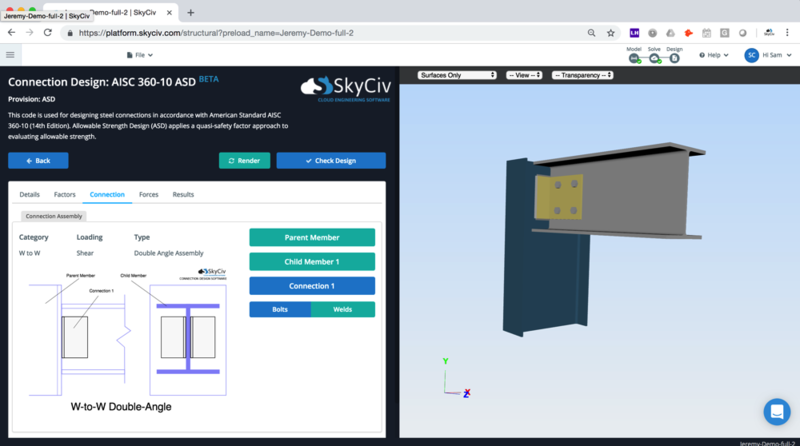 In the right example, taken from SkyCiv's Connection Design Software, you can see that any downward force will be passed onto the parent member via the (yellow) angle plate connecting the two members together. Since the plate is not rigidly welded to both members, the connection is still free to rotate - meaning it is not a moment connection. Normally, calculations performed on the Steel Connections follow a certain design standard (AISC, Eurocode, and AS4100) to ensure the calculation's reliability. Single Angle Connection - An example of a Shear Connection. 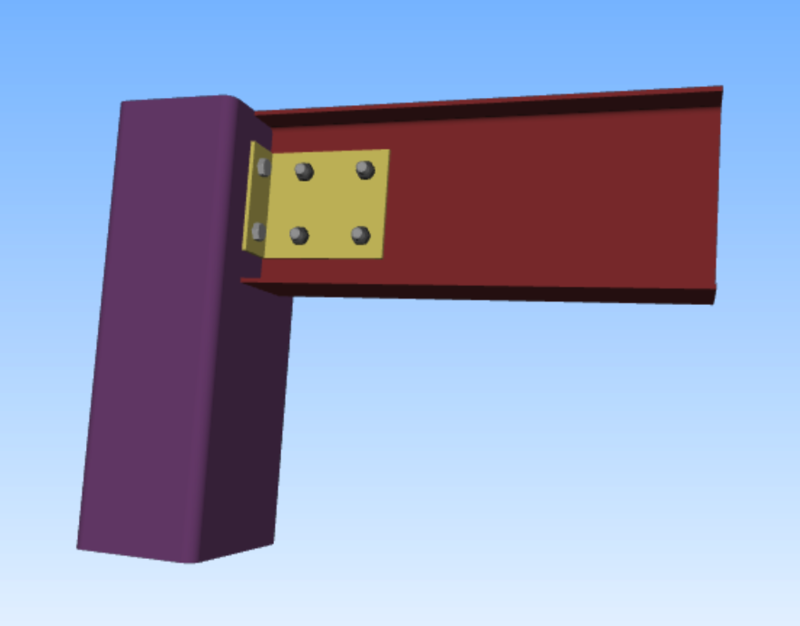 The lack of welds on top and bottom of the child (red) member means will not transfer moment force. Seated Connections use L-shaped brackets to connect the parent and child member together. They differ from angle connections as they connect at the flange of both the parent and child members. However, similar to the angle connection, they can be welded or bolted. The are normally attached with a stability bracket which is connected at the web or the flange of the child member. What's the difference between a Shear and Moment Connection?